In this project, I created a program to gather data about a participants' experiences in the real world, measuring changes in their emotional states. 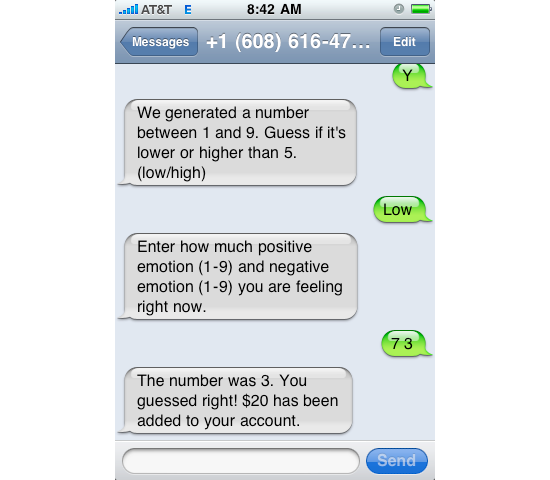 The participant's only interface to the system is via text messages. Researchers use a web interface to control the parameters of the experiment.